Sharon Anolik is President and Founder of Privacy Panacea, a boutique firm providing strategic data privacy, compliance and information security solutions. A member of the Department of Homeland Security’s Data Privacy and Integrity Advisory Committee and a many-time Chief Privacy Officer (including for McKesson, Blue Shield of California, and Ask Jeeves), Sharon is a recognized leader and sought-after privacy advisor. 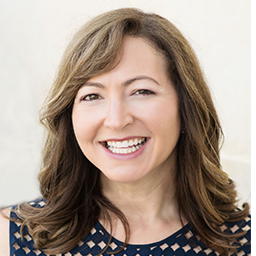 Sharon is Chair of the Compliance, Privacy and Audit Committee of El Camino Hospital’s Board; serves on the Future of Privacy Forum’s Advisory Board; advises the HBO hit Silicon Valley; and is the co-inventor of a privacy indicator method patent (pending). More information on Sharon’s background and Privacy Panacea’s services at www.privacypanacea.com. 2009 Practical Privacy Series C.A.